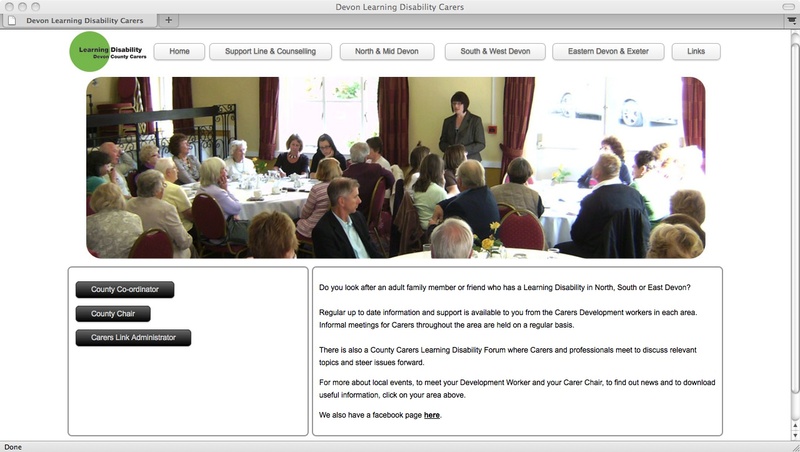 The website is for the Devon Learning Disability Carers Organisation, and the website is a signposting site for Carers. It’s still growing, with more information being uploaded every few weeks, so it’s not quite “finished” yet, but then something like this grows and changes all the time, to keep the carers up to date anyway. But I also wanted it to be friendly and approachable too. You can visit the site here.